Congratulations to Sudarshan, Dihong, Kathleen, Lauren, and Carter on the recent publication of their work on sand crickets. We are excited that this paper includes 3 undergraduate students as co-authors. We are eager to continue our research on S. scapterisci and its relationship with its bacterial symbiont X. innexi. This specialist parasite is becoming more interesting the more we learn about it. Our collaborative R21 with the Nair lab was recently funded. This proposal is focused on investigating the tissue tropism of nematode parasites and to increase our understanding of their ability to adapt to host immunity. We excited to continue our collaboration with the Nair lab and to be performing more work with nematode parasites of mammals. Endocannabinoids are lipid-derived signaling molecules that control important physiologic processes such as feeding behavior and metabolism. We identified the endocannabinoid system as a new mechanism that influences host immunity to helminths. This work was done in collaboration with Dr. Meera Nair and Dr. Nick DiPatrizio at UCR. 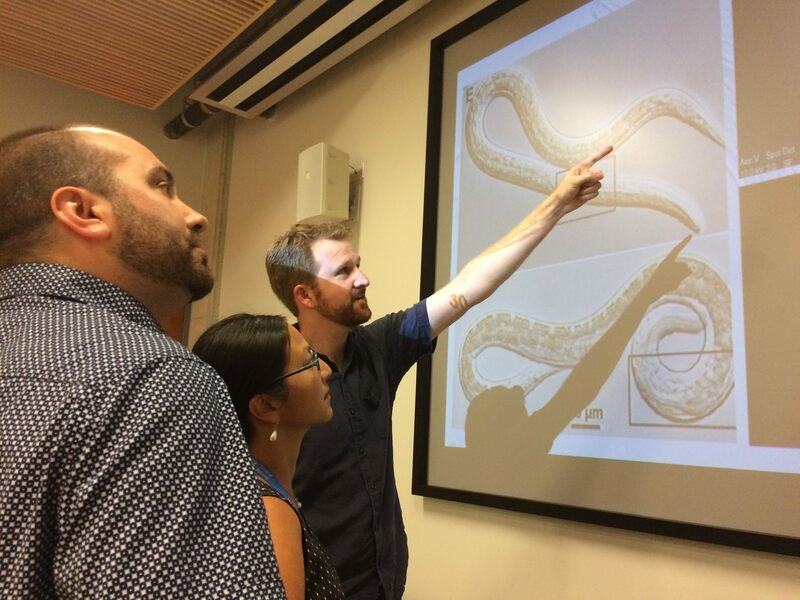 We have entered into a collaboration with Meera Nair’s lab at UCR studying host-parasite interactions using Nippostrongylus brasiliensis as a model. Our first collaborative paper was just published. 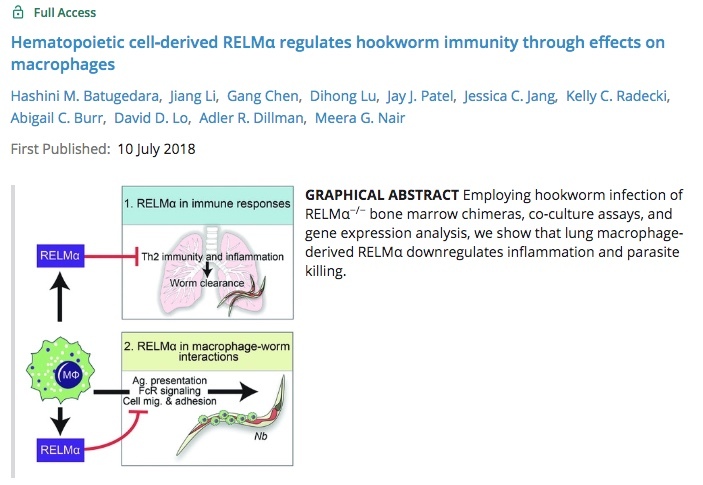 In this study, we investigated the role of host-derived RELMα in a nematode infection. RELMα is a protein secreted during a type 2 immune response. Our lab is excited to be working with nematode parasites of mammals and we look forward to a long and fruitful collaboration with the Nair lab. 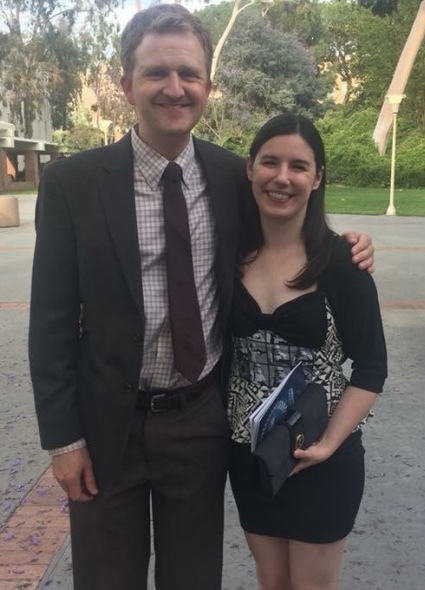 Author adminPosted on June 8, 2018 January 11, 2019 Tags Dillman lab, Lauren BraunLeave a comment on Congratulations to our graduating seniors! Congratulations to Valentina and Shyon on the publication of their work on EPN activation. This research effort was led by Valentina and is the culmination of research that she’s been doing in the lab since January 2017. Shyon joined the project in January of this year and was able to make a significant contribution to this project. We support helping undergraduates publish their research. We are thrilled to have our Specialty Crop Multi-State Program Grant funded by the USDA. Congratulations to Irma De Ley for all of her hard work on slug-parasitic nematodes over the years. We are excited to be working with her and our collaborators at Oregon State University on this project. In collaboration with the Mortazavi lab at UC Irvine, we optimized a protocol for performing RNA-seq on single nematodes. The protocol was published today in Bio-protocol. Congratulations to Dennis and Dihong from our lab, and Lorrayne, Marissa, Katherine, and Rabi from the Mortazavi lab. 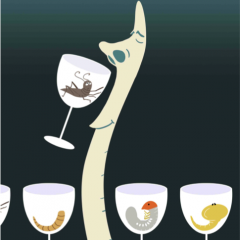 This protocol should be useful to fellow nematologists and worm herders. Author adminPosted on February 22, 2018 January 11, 2019 Tags Dillman lab, RNA-seq, Single-nematode RNA-seqLeave a comment on Single-nematode RNA-seq protocol published! 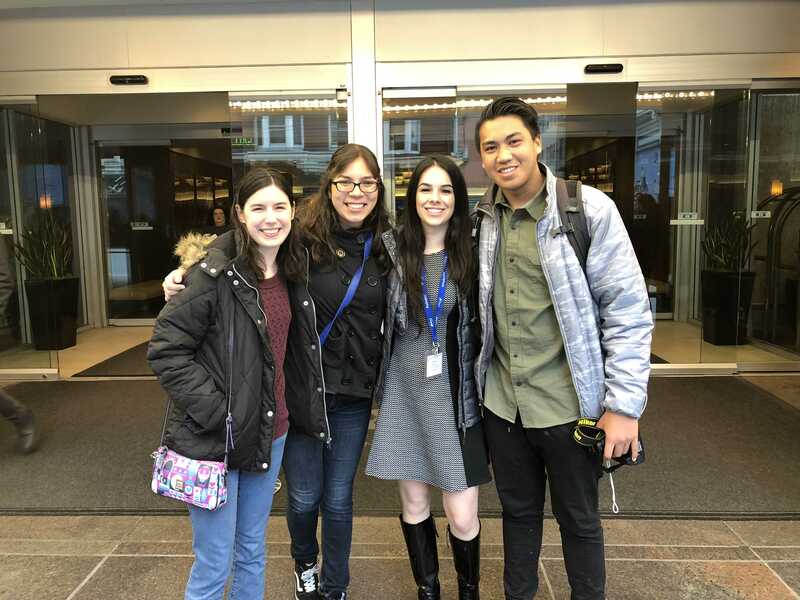 Undergraduate students Valentina Alonso, Lauren Braun, Kassandra Kin, and Nathan Mercado each presented research at the annual Society for Integrative and Comparative Biology. The meeting was in San Francisco this year and the students had a great time. Their hard work paid off as they were able to present their research and learn about some of the exciting things being done in integrative and comparative biology. From left to right (Lauren Braun, Kassandra Kin, Valentina Alonso, and Nathan Mercado).